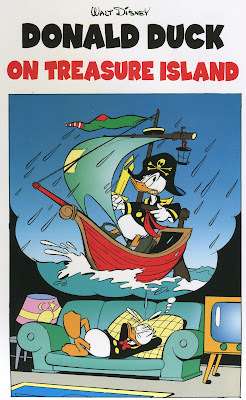 I'm trying to enlist people from the Disney Comics Forum to help me identify a few stories so I can index this. 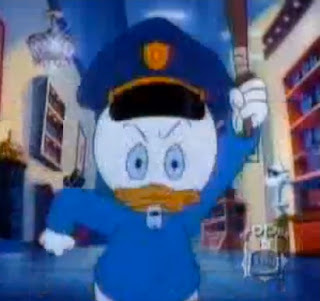 Three of the stories are Duck Avenger things that I was able to find easily enough just by looking at the relevant index, but the others are non-Duck-Avenger related, and try as I might, I've been unable to find them. They're all Italian, and they're probably all from the late seventies; no later than '81, obviously. If you can identify any of them, leave a comment there or here. This will make you officially awesome. 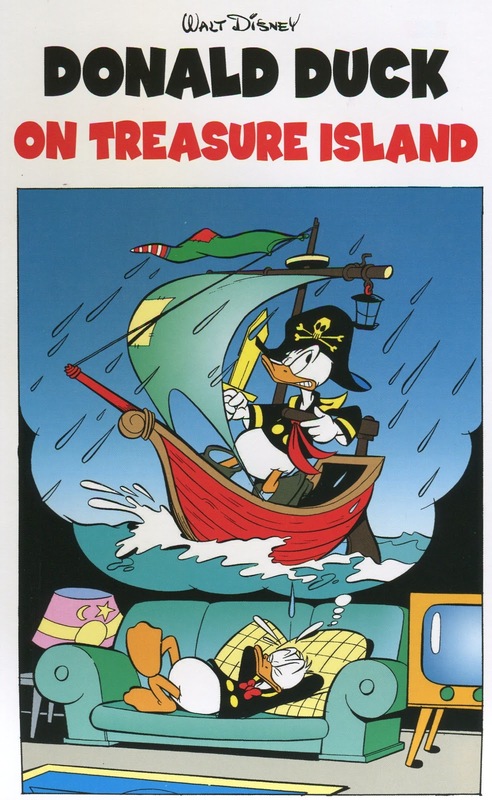 "Donald Duck on Treasure Island"
"Sandoduck and the Pearl of Labuan"
The Duck Comics Revue institute of Giovan Battista Carpi Studies is proud to present this, a 1976 story based on the work of Emilio Salgari, a late nineteenth-early twentieth century Italian writer of adventure novels. Huge in Italy, apparently, but I must admit, I had never even heard of him before reading this story. Some of his stuff is available in English translation, but he doesn't have much cultural cachet in the US. In particular, this is based on his Tigers of Malaysia series about a band of heroic pirates led by a fella named Sandokan. It's true that, not having read Salgari, I may not be the ideal person to write about this, but I'm not worried: I'm sure that if this unfamiliarity causes me to miss anything, someone in the audience will let me know in comments. Now listen up! This Very Special Valentine's Day entry is very special indeed. So let me be blunt: if, for some unfathomable reason, you don't want to see crudely-rendered Disney characters engaged in acts of carnal knowledge, don't flippin' well click "read more!" It's that simple!